When Meriweather Lewis and William Clark mustered their group of soldiers and river-men to begin the trek west into the Louisiana Purchase territory, they took some new inventions with them. President Jefferson liked new stuff and even made quite a few inventions himself – however, it wasn’t Jefferson’s calendar clock or multi-letter writer that made it in the expedition’s supply bags. Instead, there were very practical things (at least in 19th Century standards) that went along – some of them were specially designed or commissioned by Lewis. Today we’ll explore some of the “new stuff” that went west, the purposes, and success or failure of the items. To get up the Missouri River, Meriweather Lewis commissioned and helped design a special boat. Constructed around a shallow keel, the 55 foot long vessel was fairly flat-bottomed, allowing it to glide along the river and hopefully not get stuck on sandbanks. 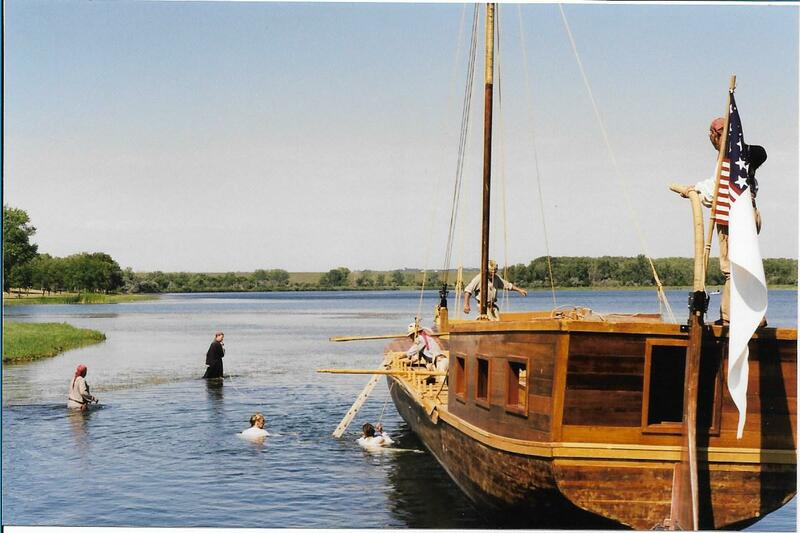 The keelboat did have a sail, but its wooden decks were designed to allow poling. Overall, the keelboat was successful. It did get stuck a couple times, but it served its purpose as a “headquarters” boat for getting up the Missouri River. After the winter at Fort Mandan, Lewis and Clark sent the keelboat back down the Missouri River since the river was getting too narrow for its passage. A recent invention intrigued Meriweather Lewis, and he had to buy one for the expedition. Using compressed air, this new rifle didn’t take a normal charge of gunpowder to fire a bullet. It seemed like a good idea, but was a little tricky to make it work properly; thus most men on the expedition carried a regular rifle or musket. The air rifle was used mostly to impress the natives, and not for hunting or defense. Unfortunately, before the expedition officially departed Missouri, Lewis was demonstrating his weapon to a crowd of onlookers when the gun misfired and accidentally wounded a woman in the crowd. Though skilled in frontier “first aid” and herbal medicine, Lewis took a crash course on 19th Century medicine so he could be the “doctor” on the expedition. (The men probably wished he had skipped the formal instruction). 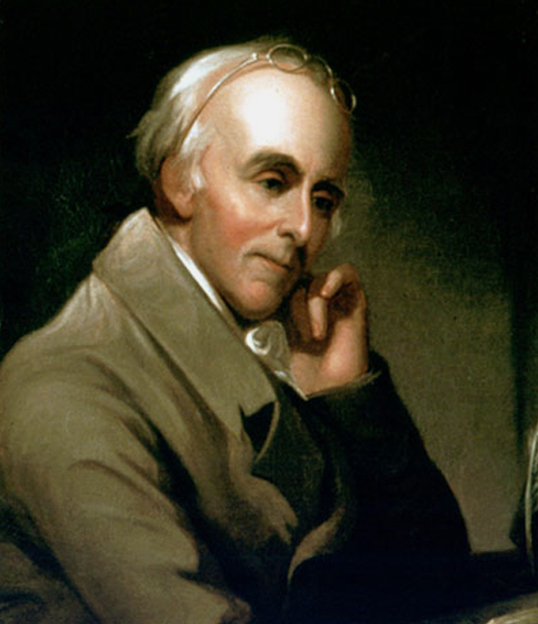 Dr. Benjamin Rush of Philadelphia helped Lewis improve his knowledge of bleeding, blistering, and purging which were the standard practices of the medical profession at the time. It wasn’t really an invention, but it was brand-new item. President Jefferson had peace medals crafted and instructed Lewis and Clark to give them to the native chiefs as a gift from the “American chief.” The medals were supposed to be a symbol of goodwill and alliance. When meeting native tribes, Lewis and Clark usually had the soldiers perform a dress parade and fire their guns. Then the commanders would make speeches about the power of the United States and the president’s desire for friendship and peace. And then it was time for presents! Peace medals, beads, tobacco, and other items. Meriweather Lewis was in charge of most of the “packing lists” for the expedition. With a personal interest in science (and mentored by Jefferson), Lewis searched for innovative items which might be useful. Some were successful. Others were cool, but not extremely effective. Some it might have been better to just leave at home. Others were beautiful with symbolic significance.